As people get older they become more prone to experiencing unpredictable and unexpected falls. There are many risk factors and potentially negative effects of falls by the elderly, including physical harm (bruising, fractures, dehydration, pneumonia etc.) and reduced mobility. These in turn can result in loss of confidence, fear, mild depression and sudden restriction of lifestyle. 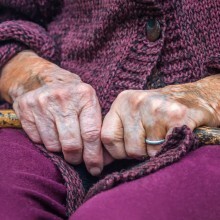 As fractures in the elderly take longer to heal, a short stay in hospital is often followed by a much longer stay in a rehabilitation unit until the hospital is satisfied the person is able to return home safely. At Blue Sky Enabling we work collaboratively with physiologists and occupational therapists to enable people to return home quickly from hospital where we actively help them continue their rehabilitation programme on a daily basis whilst living safely and comfortably in their own home.